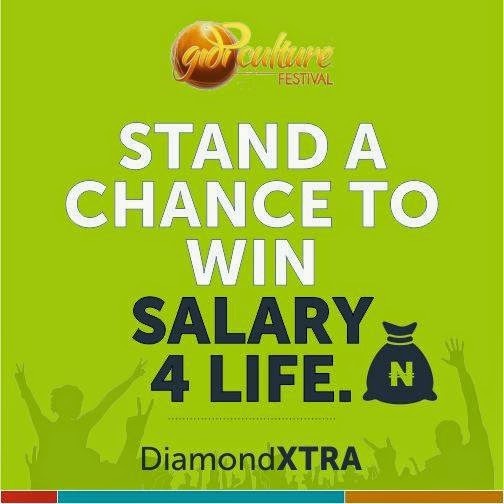 Fund your #DiamondXtra Account today with a minimum of N5,000 and stand a chance to win various cash prizes or the Salary for Life at the promo which will hold live at the #GidiCultureFestival at Eko Atlantic beach on Saturday April 4, 2015. (Im yet to win in this Promo. I have this account but nothing yet) Do you guys have this Account?? ?